The future is here. All weapons are outlawed. The superhuman potential of the human brain has been unlocked by the Police force via a secret weapon: the Power Glove. 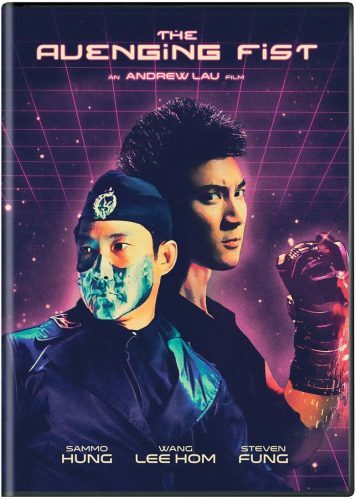 Only those in positions of authority are allowed to wield the Glove, but Combat 21 (Roy Cheung), one of the few remaining survivors of the Glove’s human experiments, mounts an evil plan to capture the world’s best fighters and steal their psychic energy for himself and his Red Dragon army. The avenging fist is a futuristic action film that’s a mix of the fifth element Mario brother and Kung fury. This is an unofficial tekken film by Andrew lau that is definitely different from most Hong Kong action films. The story is decent but over the top thanks to the effects used. The action is OK but is wire work but more on the Kung fury side with weird movements like flying kicks. But it fits with the film and the effects that are used. Overall the film I feel was a fun watch but is out there and that makes this film a hit or miss. If you want some mindless fun futuristic backdrops and technology flying over the screen with some hand to hand action and a power glove that can rule any fight then I say give it a shot. It’s pretty out there.